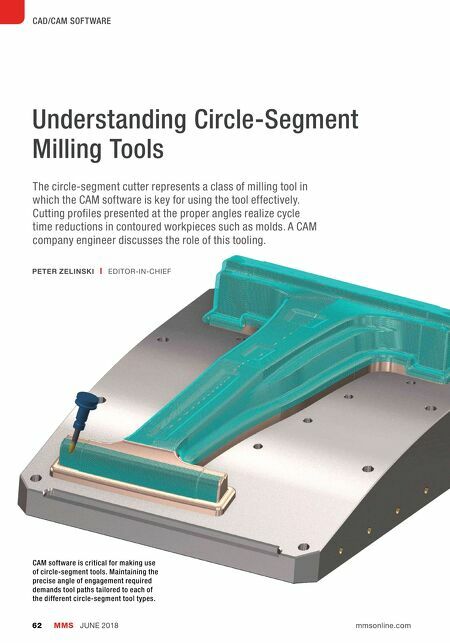 MMS JUNE 2018 62 mmsonline.com CAD/CAM SOFTWARE Understanding Circle-Segment Milling Tools The circle-segment cutter represents a class of milling tool in which the CAM software is key for using the tool effectively. Cutting profiles presented at the proper angles realize cycle time reductions in contoured workpieces such as molds. A CAM company engineer discusses the role of this tooling. 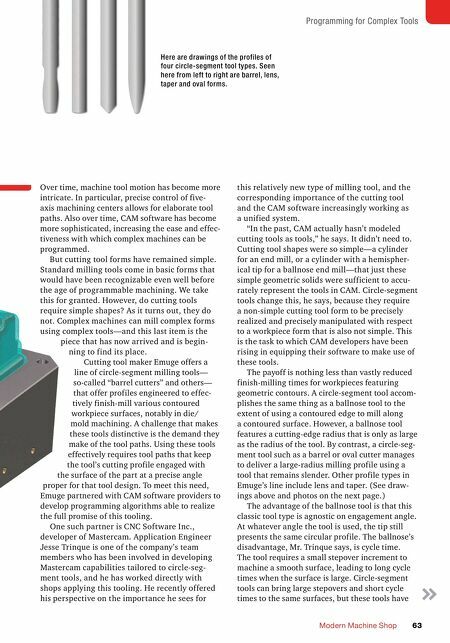 PETER ZELINSKI | EDITOR-IN-CHIEF CAM software is critical for making use of circle-segment tools. Maintaining the precise angle of engagement required demands tool paths tailored to each of the different circle-segment tool types.